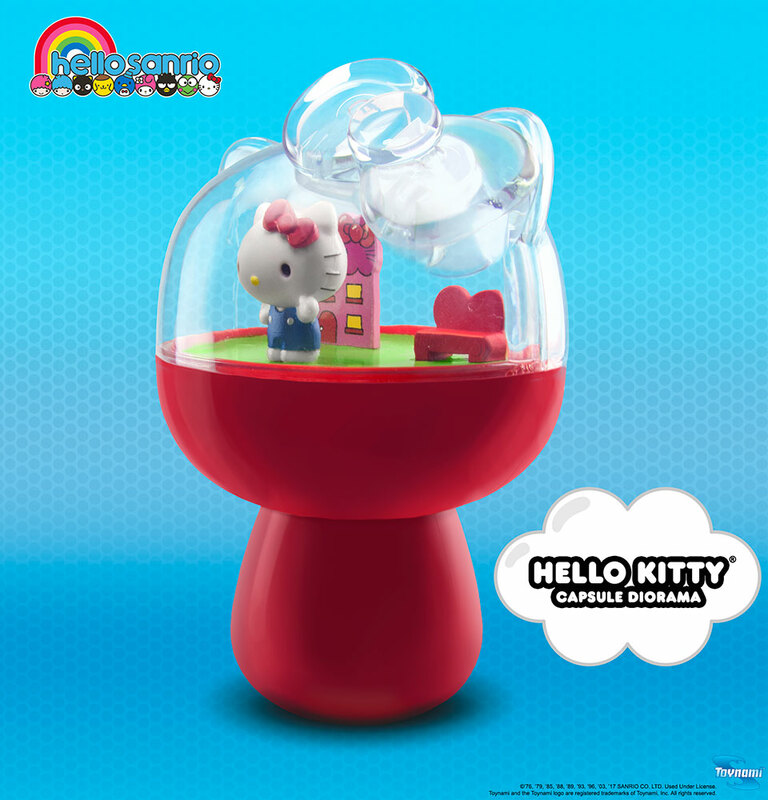 Say hello to the immersive new world of HELLO SANRIO. 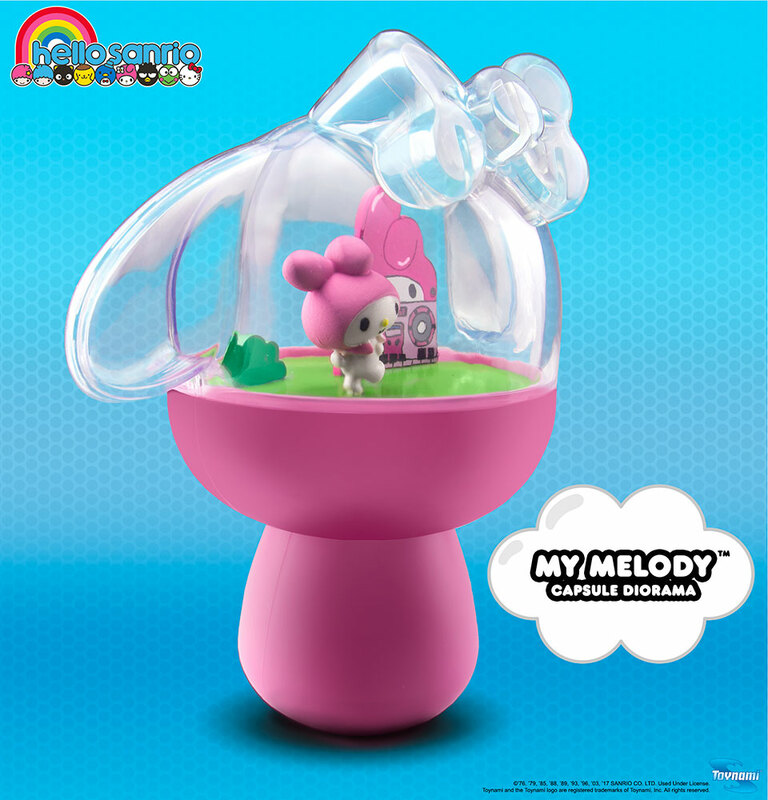 For the first time, your favorite Sanrio characters are featured all together in a supercute immersive world filled with fun, friendship and big smiles. 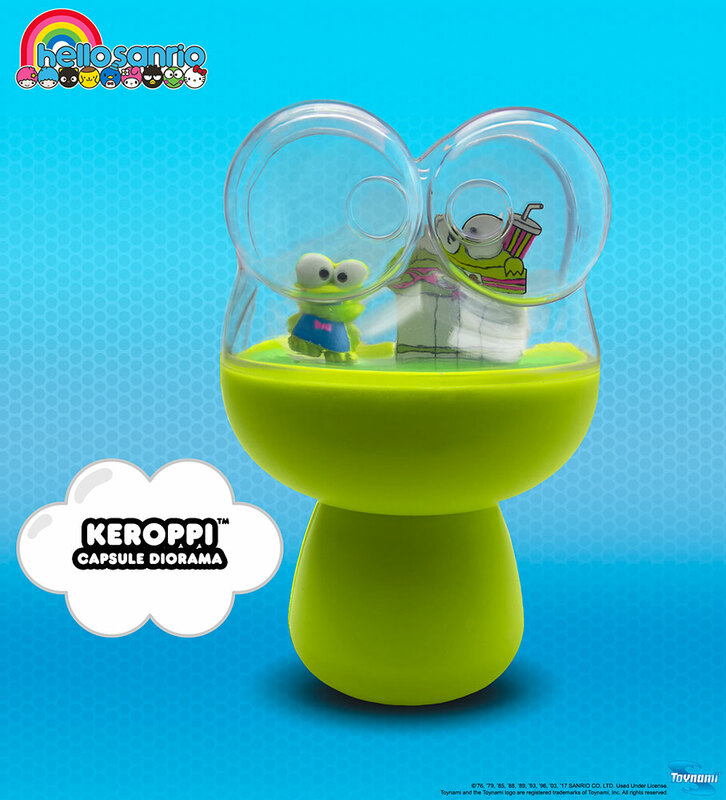 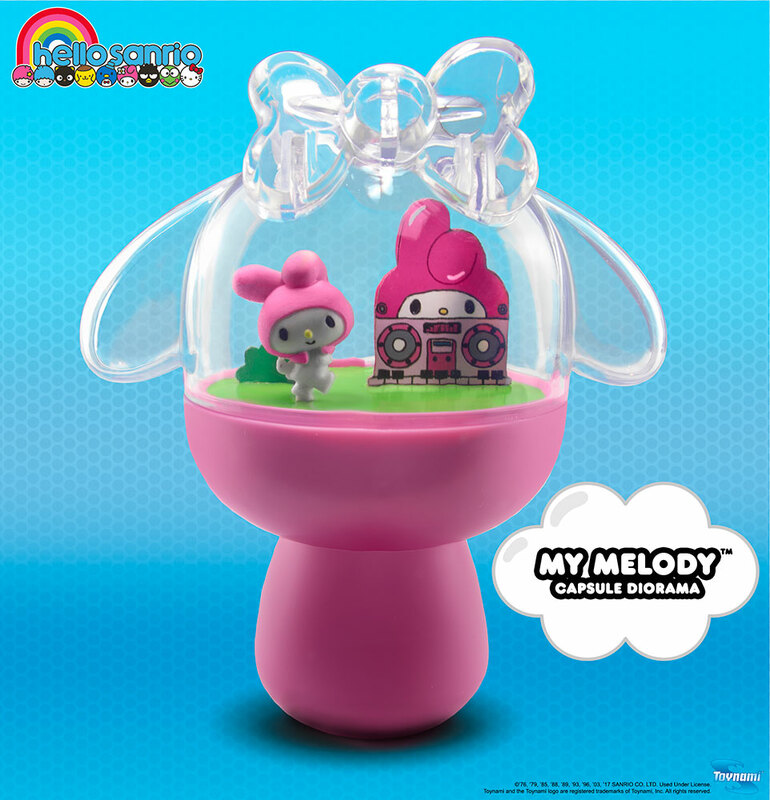 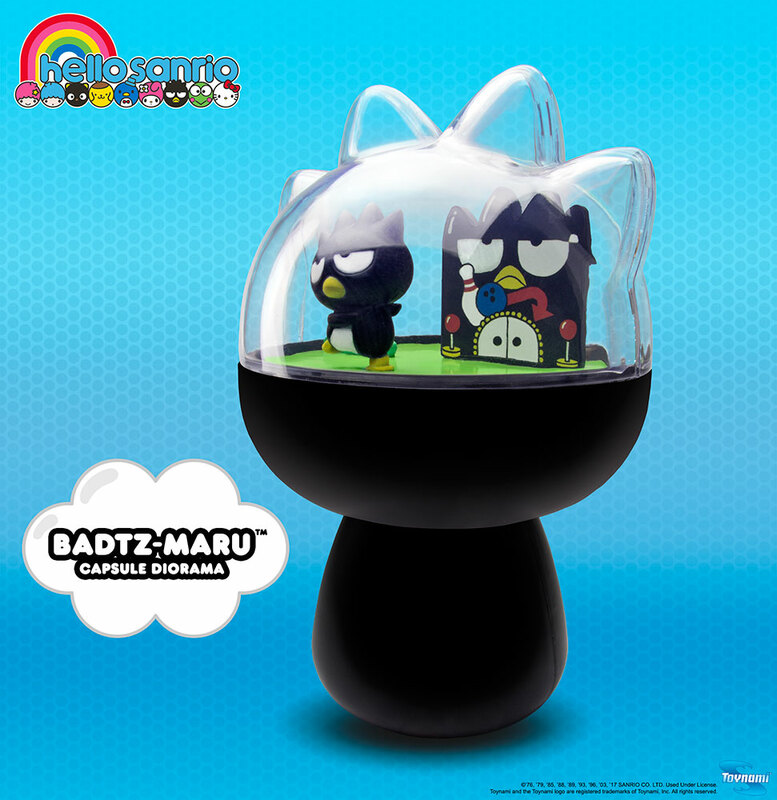 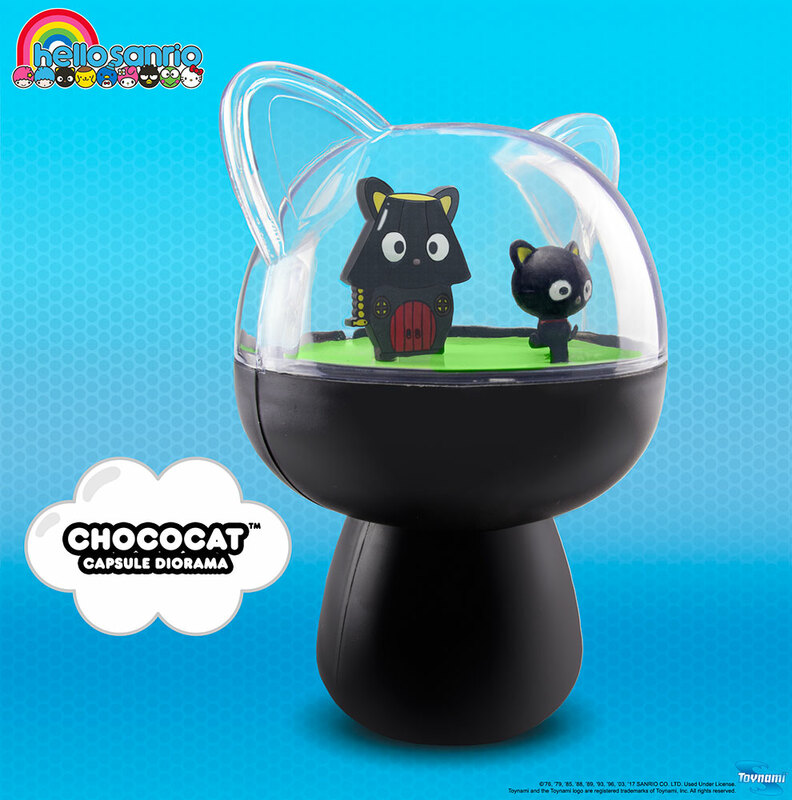 Toynami is proud to introduce the Hello Sanrio Capsule Dioramas. 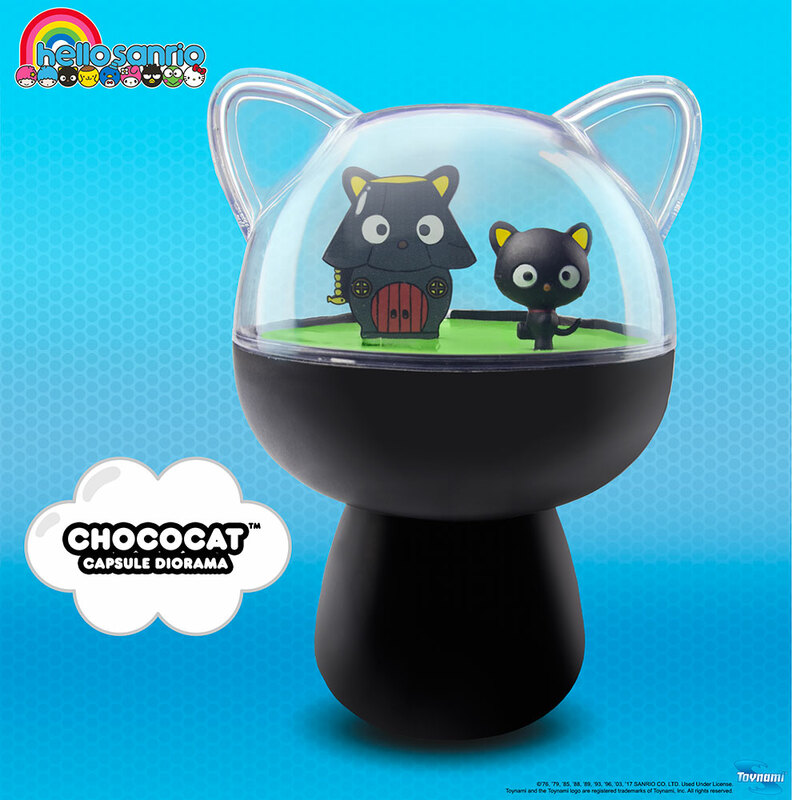 We’re bringing together five of your favorite characters: Hello Kitty, Keroppi, BadtzMaru, My Melody and Chococat! 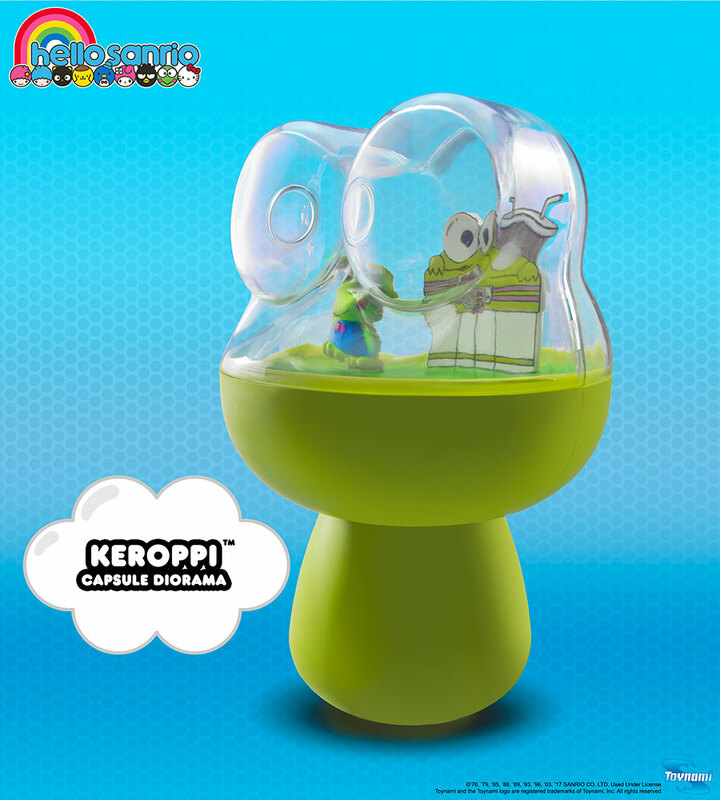 Each capsule stands approximately 4 inches tall and is perfect to display in or out of the vinyl display box. 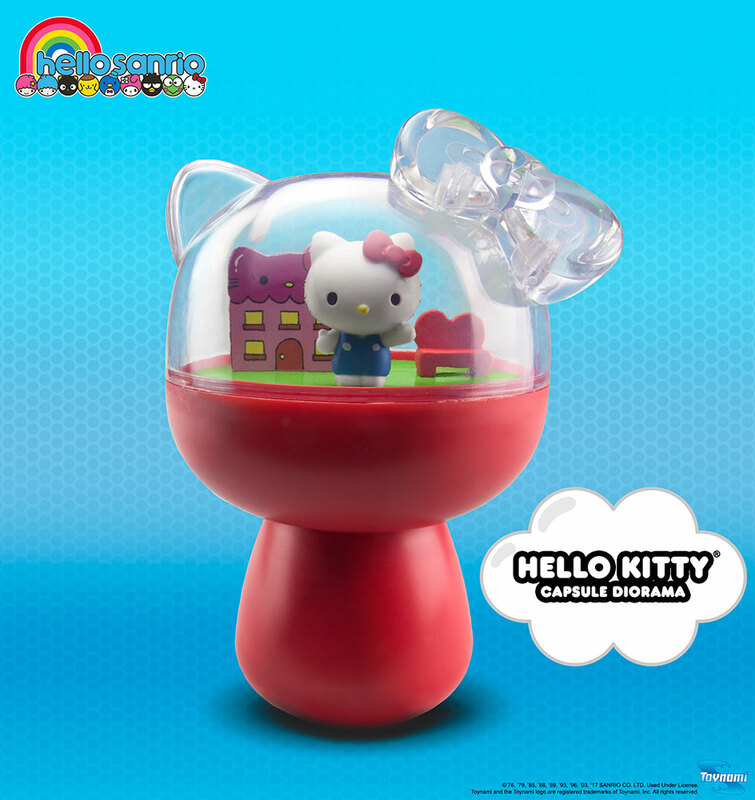 ©'76, '79, '85, '88, '89, '93, '96, '03, '05, '13, '17 SANRIO CO., LTD. Used Under License.